British born and bred shipbuilders Princess Yachts are one of the most understated superyacht builders in the business. 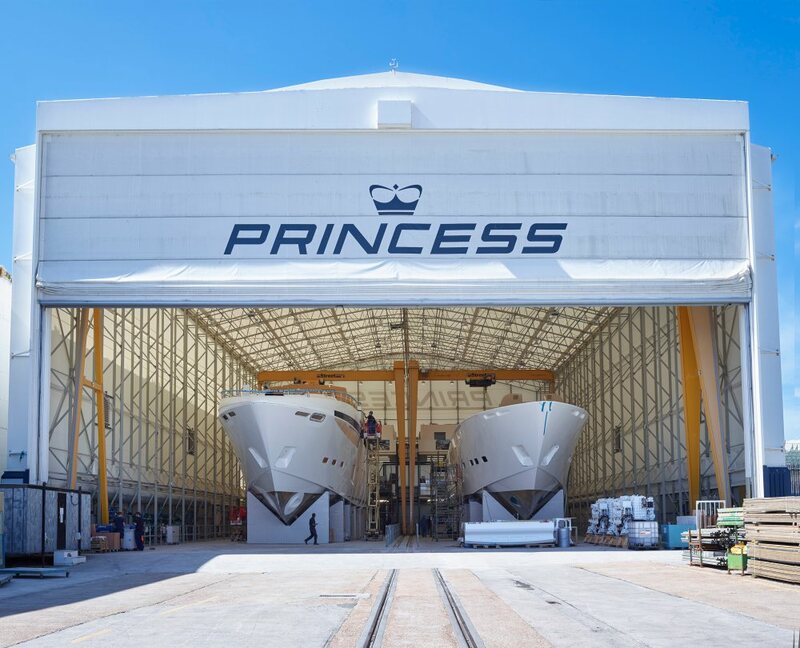 Located in Plymouth, a richly historic coastal town in England’s south, the efficiency of their production line method of building boats has awarded them with a constant demand for Princess vessels all around the world. With the smallest yacht in the Princess range, the Princess V39, coming in at just under 13 metres, it wasn’t until 2010 that the brand decided to introduce 30+ metre superyachts to their repertoire with their 32M model. Now, consisting of three models of 30, 35 and 40 metres in length, the introduction of the M Class has been a great success, with two 35M models currently in build as well as the recent launches of the seventh 40M and the third 30M. 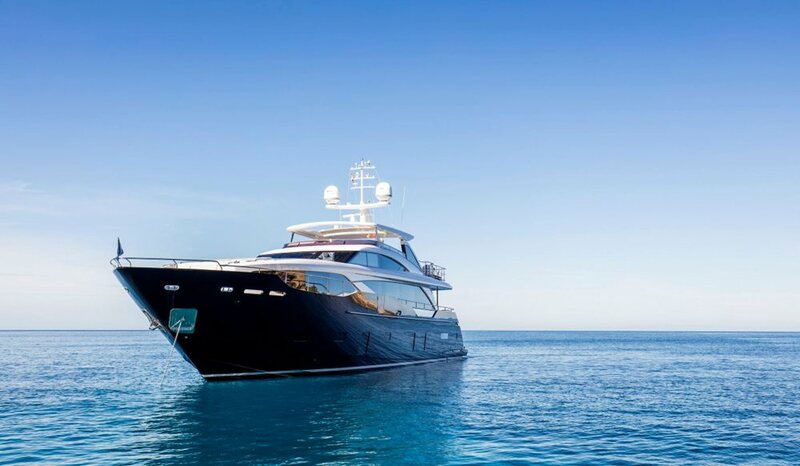 With Princess being one of a very slim number of luxury superyacht builders in the U.K., Britain’s Brexit referendum in June which saw the public vote to leave the European Union has many people wondering what the consequences of the countries fall out with the continent could mean for Princess Yachts. Here, we talk to Kiran Jay Haslam, Marketing Director at Princess Yachts, about the complexities of Brexit, the M Class range of superyachts, and the Princess philosophy. 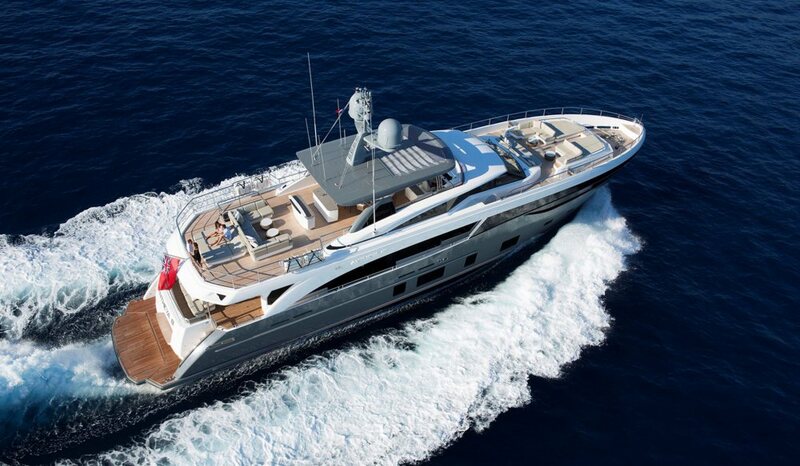 The M Class range of yachts is a relatively new addition to Princess Yachts. Did the development of the range come at a client’s request? We have always had a philosophy of building boats in an organic way. We never force something unless it feels right. That comes in many forms – it comes from gaps and opportunities we see in the market, to an individual who may approach us and ask for something very special or unique, or it may be driven by our development and engineering desires. With regards to the very first 40M, there was an intention to venture into a larger sized build, and although the initial conversations were instigated by us, we worked really collaboratively with a well-respected and long-standing Princess customer to realise the first ever 40M. Did Princess always envision three size ranges in the M Class? Yes and no. It all started with a 32M, which paved the way for our first 40M, which serves as our flagship product currently. With the 35M we found a way to bring many key 40M features into a smaller package. So with both of those boats winning awards, the 30M now acts as a gateway product to both of these larger yachts, taking motor yacht (75-90 ft) customers up into the M Class arena. Our all-new 30M has many features that compliment the typical behaviour we have seen from customers aboard both the 35 and 40M. We learned many valuable lessons from both the 40 and 35, so our 30M really has some incredible social space and wonderful design features. Superyachts are synonymous with exclusivity. With the production line method of constructing vessels that Princess adopts and already being on the eighth hull of the 40M vessel, how do you plan to upkeep that sense of exclusivity? Currently we have eight 40M, five 35M and six 30M models retailed or ordered (and we built and sold eight 32M yachts over 5 years). I think those are well and truly “exclusive” numbers if you consider that in a recent report issued out by Credit Suisse, there are over 84,700 UHNWIs who could easily purchase a Princess M Class product from us! The exclusivity comes also from the individual nature of each boat – all tailored to meet the specific needs or requests of owners. That, coupled with our understated brand behaviour, means that a Princess M Class is really a rather exclusive yacht. Your philosophy is perhaps best summarised in the Princess hashtag: #experiencetheexceptional. What defines Princess Yachts as an exceptional brand with exceptional products? For every Princess customer we want to deliver voyages of endless possibility and we aim to do so by building yachts to universal acclaim. That has been our journey since 1965, and it is still our vision and mission today. We are fundamentally exceptional because of our people and processes. We don’t stand on the corner waving a flag saying we are the best or the most luxurious, because quite simply we don’t subscribe to that type of behaviour, and we certainly don’t think that way. Nor do our customers. There is a lot of personality in Princess, and that seems to strike a chord with our clients. As a brand, we have an enviable position in our industry, as we appeal to both genders equally, both young and old alike, and our worldly behaviour resonates well with a trans-global customer type. We are an understated and well- thought-out brand that is continuously pushing the boundaries to create very special yachts. If any of our employees or customers were to have dinner with the Queen, you wouldn’t hear about it from them, but you would surely hear about it from someone else! And that is, in a funny kind of way, key to our success. Finally, we are dedicated to manufacturing within the United Kingdom, and we have an extremely detailed way of designing, developing, crafting and selling our products, and that is exceptional to see in manufacturing – in a world of outsourcing and zero hour contracts we are bucking the trend. Princess are very proud to be a historic English company based in Plymouth, though your client base is made up of owners all over the world. In light of the recent referendum in the U.K., how do you envision Brexit could affect the yard? There are obvious challenges that arise. Whenever you sell luxury items that are not utilitarian by nature, market confidence, or lack thereof, can really catch you out. It will be incredibly hard to predict what the full extent of the Brexit changes will be, however, we are hopeful things will get better, and we are committed to being one of the best examples of local manufacturing left in the U.K. today. 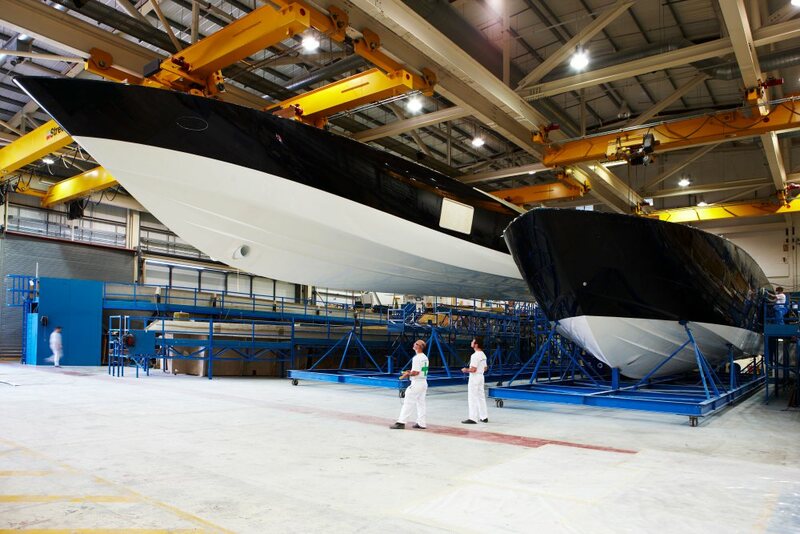 We have over 2050 employees across multiple sites in the south west of the country, and we produce over 80% of every yacht right here in England. From blackwater tanks, wiring looms, fuel cells, and hulls, to both fixed and floating furniture. We have the strength and commitment to weather whatever storms are thrown at us.